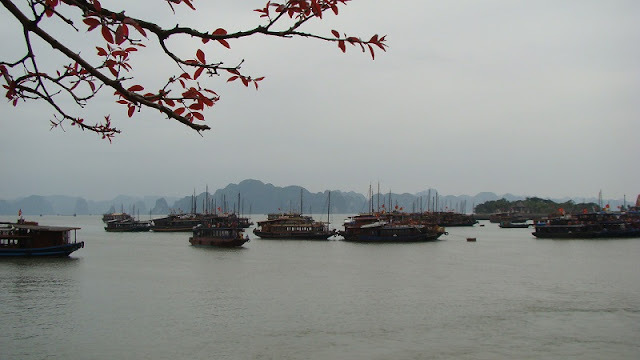 Halong Bay is becoming an attractive destination for domestic and foreign tourists. The most popular way to experience the bay is on a cruise, and unsurprisingly every travel agency and hotel in Hanoi has tours to sell. Choice is a great thing, but the multitude of trips on offer can be overwhelming. Here’s the skinny on Halong Bay touring to get you started. Want to spoil yourself? 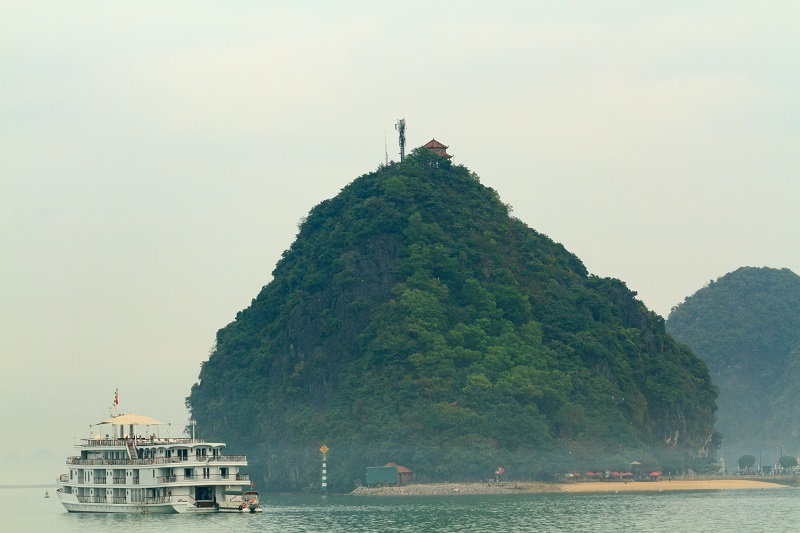 Halong Bay has some sumptuous cruise options that are basically luxury hotels on water. You’re paying for the experience of five-star amenities here – not for any particular divergence from the typical cruise itinerary – but if you want to live it up from a swanky sun-lounger while watching the sun set over a vista of craggy jungle-topped islands, you can’t really go wrong. Pros: It’s a serious treat; and the romantically inclined are sure to score brownie points with their partner. Cons: Those looking for good value should probably look at midrange options. Overnight trips (marketed as two days/one night trips) usually involve 24 hours or less on the actual boat, which can rankle given what you pay for the experience. Most Halong Bay visitors go for midrange or budget cruises, but there is a huge range when it comes to price and value for money. At one end of the scale are some ultra-budget boats where on-board safety is not top priority; at the other end are some excellent midrange options offering cosy hotel-style cabins, knowledgeable on-board tour guides, and kayaking stops. If purse strings are tight, for facilities, comfort and safety considerations it’s sometimes better to choose a day cruise with a midrange operator rather than a bargain-basement overnight trip. 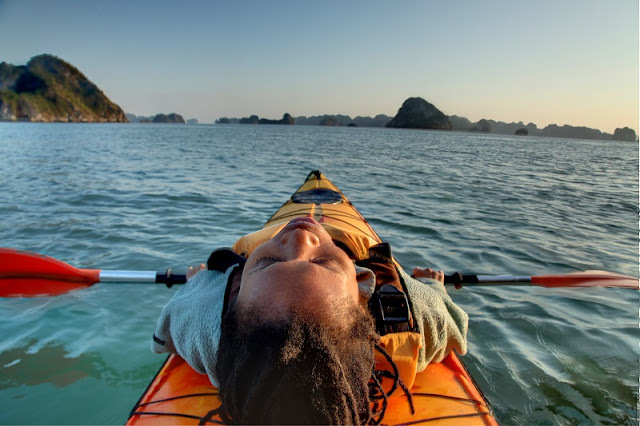 Pros: Competition is fierce, which means plenty of operators add freebies into the itinerary, such as kayaking and private minibus transfers from Hanoi. Cons: You have to wade through a lot of options, which can be confusing. It’s worth doing a bit of pre-trip research. Get ready for a truly local experience. Bai Chay Tourist Wharf in Halong City is the bustling hub of Halong Bay’s day-tripping tourist boats, which whisk visitors out onto the water for excursions of four to six hours. If you’re not fussed about added frills, don’t mind sharing boat space with gaggles of other folk, and just want to cheaply get out on the water and quickly see a couple of highlights, this is a good option. Pros: These are cheap and easily organised tours right on the spot in Halong City. Plus there’s free entertainment on board provided by karaoke. Cons: Crowded. Did we mention the karaoke? Most decent midrange Halong Bay cruises will offer an hour or so of kayaking. Paddling around the karsts allows you to experience the limestone towers from a completely different angle: up close, at sea level and without the constant thrum of an engine in the background. For more experienced kayakers, there are also kayak-only trips. These trips are run by a handful of operators based in nearby Lan Ha Bay (off Cat Ba Island) rather than Halong Bay itself, though Lan Ha’s islet-scattered sea has just as much wow factor as Halong Bay and is much less visited. Pros: In one of southeast Asia’s most popular tourist destinations, this is a way of escaping the crowds. Cons: On a full kayaking tour you’re only going to see a sliver of the area. To see more, it’s a better idea to take a cruise that includes a kayaking stop. One of the most important reasons to steer away from the ultra-budget cruises is safety. Due to a boat sinking (and the loss of 12 lives) in 2011, new safety regulations were brought in for Halong Bay cruise boats, but scrimping on safety does still go on with some fly-by-night operators. In particular, check that any included kayaking stops are accompanied by a guide. Due to the variable and surprisingly strong currents close to the karsts, a safety-conscious operator won’t allow kayakers to paddle off from the boat by themselves. One of the best times for Halong Bay is November – there are blue skies aplenty, temperatures are moderate and there’s a good chance of calm seas. From May to September tropical storms can whip up without much warning. This is also high season in Halong, particularly from June to mid-August when domestic tourism peaks. February to April is often cool and drizzly, and the fog can make visibility low, though also adds an ethereal atmosphere. If you are still unsure whether to put Halong Bay on your to-go list, We give you the reasons to decide. Halong Bay well deserves every of your minutes traveling. Hanoi to Sapa: train and bus how different? What Is Needed To Pack For Trekking In Sapa?